The 48-foot yacht Scarlet Oyster completed the final leg of the Ellen MacArthur Trust Skandia Round Britain voyage Sept. 12, from Torquay to its departure point of Cowes on the Isle of Wight. During the 17 legs of the 132-day voyage, 74 young people recovering from cancer sailed on the Scarlet Oyster, stopping at such ports as; Brighton, Dover, London, Ipswich, Hull, Newcastle, Edinburgh, Aberdeen, Inverness, Glasgow, Belfast, Douglas, Liverpool, Cardiff and Southampton . 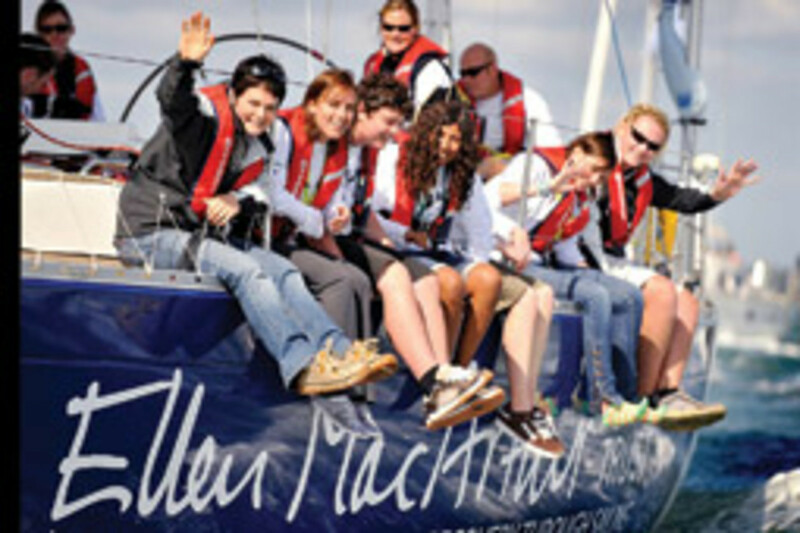 The Dame Ellen MacArthur Trust takes young people between 8 and 18 who are in recovery from cancer, leukemia and other serious illnesses sailing to help them regain their confidence. “To be part of the team to make it happen has been an absolute joy,” says MacArthur. 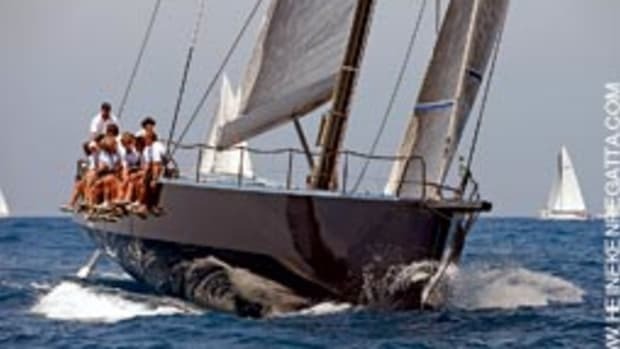 She was on board with five young people as Scarlet Oyster made the last leg of the circumnavigation. MacArthur is known for her long-distance sailing and, at one time, held the world record for fastest solo global circumnavigation. For information, go to www.roundbritain.org. 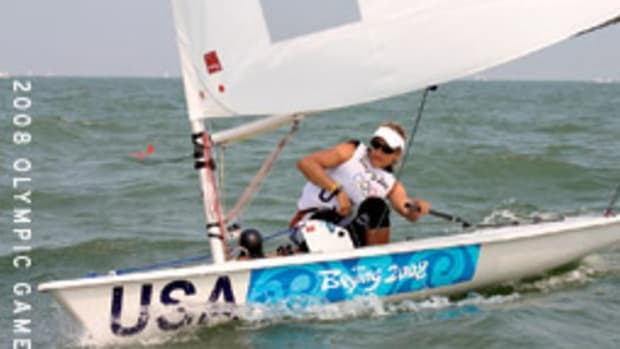 The United States’ medal count went to four at Sail for Gold when Olympic silver medalist Zach Railey of Clearwater, Fla., won bronze in the Finn class and Olympic gold medalist Anna Tunnicliffe of Plantation, Fla., crew Molly O’Bryan Vandemoer of Redwood City, Calif., and Alice Manard of Charleston, S.C., won bronze in the new Elliott 6 metre. The event took place at the venue of the 2012 Olympic and Paralympic Games in Weymouth/Portland, England. The usual southwesterly winds returned to Weymouth after a long postponement on shore, but only six classes were able to sail their double-point medal races to finish off the weeklong International Sailing Federation Sailing World Cup event. In the new Women’s Match Racing Event, Tunnicliffe and her team battled France’s Claire LeRoy in the petit finals, ultimately winning 2-1. 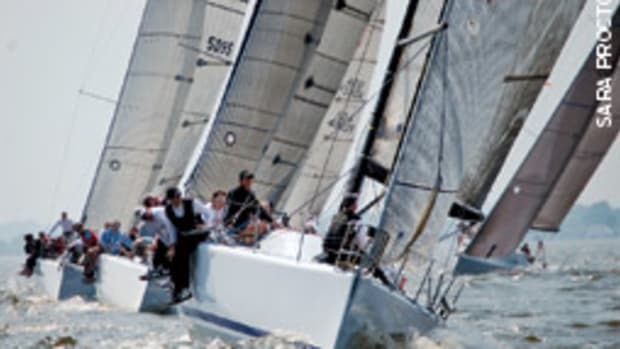 Sail for Gold is the seventh and final stop of the ISAF Sailing World Cup 2008-09 series, and the leaders in the Sailing World Cup standings were also awarded. 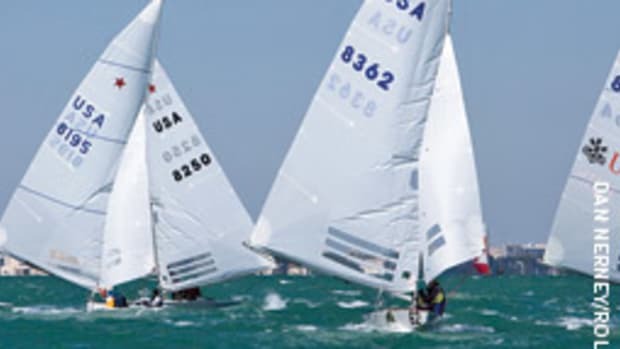 Tunnicliffe won the Laser Radial class, and Stu McNay of Boston, and Graham Biehl of San Diego, finished second in the men’s 470. 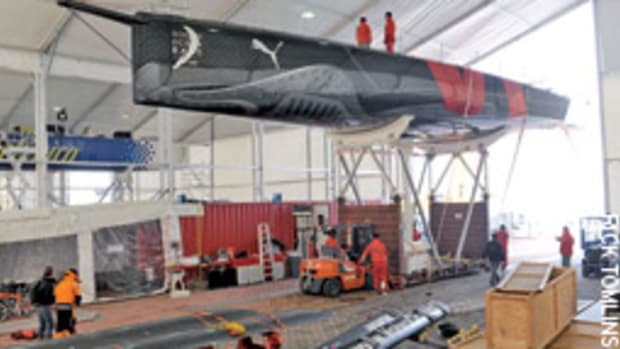 Tunnicliffe won three Sailing World Cup events this year: Sail Melbourne, U.S. Sailing’s Rolex Miami OCR and French Olympic Sailing Week. 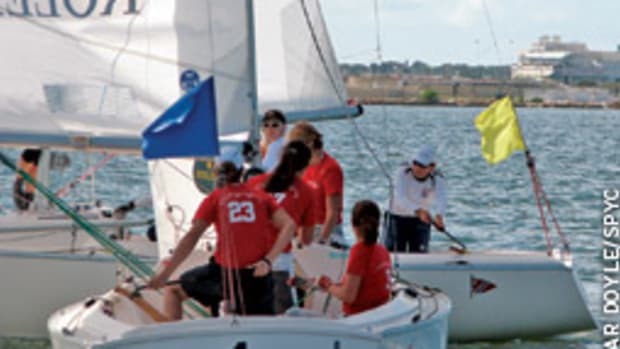 McNay and Biehl won silver at Sail Melbourne and at the Rolex Miami OCR. 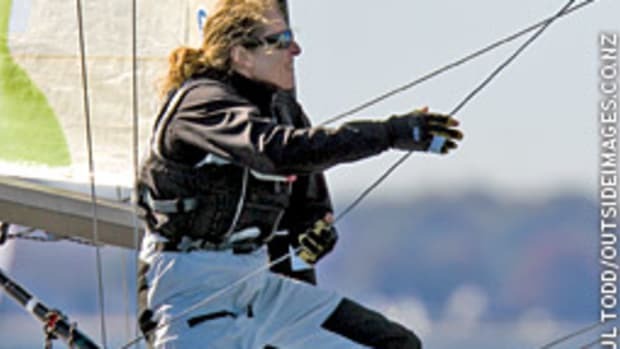 Winning gold in England were Scott Whitman of Brick, N.J., and Julia Dorsett of Westchester, Pa./Boca Raton, Fla., in the double-handed SKUD-18 and Rick Doerr of Clifton, N.J., Hugh Freund of South Freeport, Maine, and Maureen McKinnon-Tucker of Marblehead, Mass., in the triple-handed Sonar. 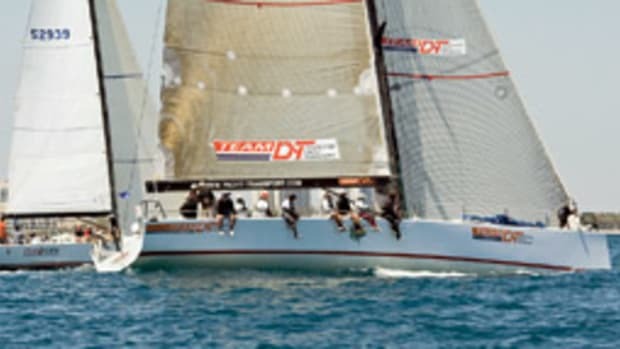 Whitman and Dorsett also won the ISAF Sailing World Cup standings in the SKUD-18, and Doerr’s team finished second in the ISAF Sailing World Cup standings in the Sonar. This article originally appeared in the Mid-Atlantic Home Waters section of the December 2009 issue.